Saturday 31st July 1915: Today is Slipper Day in Bedford, with everyone asked to slip a penny into a collection box to raise funds which will be used to provide wounded soldiers with soft slippers. The collection has been organised by the Bedford Centre of the St. John Ambulance Association; the Centre has already sent out 6,984 pairs of slippers to hospitals in England and France. Gifts of carpet, felt and cloth remnants have been sent by firms all over England, and even from as far as Boston in the United States of America. The collection is being carried out by members of the St. John Ambulance Association and by the British Red Cross V.A.D. Materials are given out to those wishing to help by making slippers at the Harpur Street Depot every Monday between 11 a.m. and 1 p.m.
Friday 30th July 1915: A telegram was received this morning notifying his parents that Private Wilfred Jesse Vine has become the tenth Henlow man to be killed since the outbreak of the war. He was serving in the Chatham Battalion with the Royal Marine Brigade of the Royal Naval Division when he was killed in action near the Dardanelles on 13th July. Twenty six year old Private Vine was the son of Mr. and Mrs. Frank Vine of the Crown Inn at Henlow. He had bought himself out of the Royal Marine Light Infantry in 1913 and became valet to General Hillyard, the former commander of the British forces in South Africa. When the war began he offered himself for service and took part in the successful retirement of the marines from Antwerp. After his return from Antwerp he married Valentine Farriere, the French maid of Lady Hillyard. He was subsequently sent to the Dardanelles, from there to Port Said in Egypt, and then back to the Dardanelles. He was expected home on leave in the middle of this month, making today’s tragic news even more poignant. Mr and Mrs Vine also have two other sons, Edgar Francis and Bertram, serving in France with the Bedfordshire Yeomanry. Thursday 29th July 1915: The Maternity and Child Welfare Centre recently set up at Luton is already doing much useful work. During the last month 179 visits have been made by mothers with their babies and over 100 babies have been seen. The Centre does not yet have a Health Visitor and is therefore relying on voluntary workers. They carry out three main tasks: weighing babies, advising on feeding, and giving short talks to the mothers. Medical advice is given where necessary. Of great concern at this time of year is the effect of infantile diarrhoea during the hot weather. Those babies who are breastfed are safe, but those fed on cow’s milk are at grave risk. The number of deaths can be greatly reduced if dried milk is used instead of cow’s milk and the Council has agreed to spending £5 on a certain brand which will be sold to mothers at cost price. A similar scheme at Rotherham had seen over 400 babies partially fed on dried milk. Only who were wholly fed on it had died, and it was estimated that over 40 or 50 deaths had been prevented. The Mayor told the Council that he believed that as so many young men were being lost it was their duty to do everything in their power to conserve young life. Wednesday 28th July 1915: A meeting was held this afternoon at the Shire Hall, Bedford of engineering firms from the five counties Bedfordshire, Hertfordshire, Buckinghamshire, Huntingdonshire and Cambridgeshire to discuss the production of munitions. The meeting was called by Mr Samuel Whitbread in response to a letter he received recently from the Minister of Munitions. 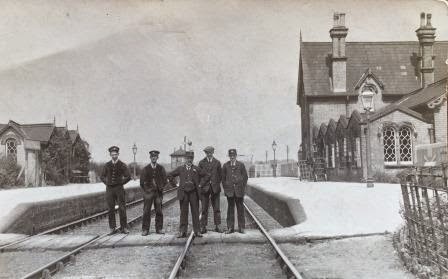 Bedford was chosen as the location as Bedford and Luton were probably two of the largest centres for engineering work and Bedford had good railway facilities. A general committee of twenty two representatives was elected and a decision was taken to call the area the South-East Midlands Munitions Area. An executive committee was also appointed which subsequently elected a Borad of Management. The meeting was informed that the government’s greatest need is for big shells. Those firms with facilities to do so were told they should concentrate on these, leaving the manufacture of smaller shells to those unable to make the larger ones. However, Sir Charles Wilson pointed out that the works in this locality were mostly suited for three inch shells and as the counties involved were primarily agricultural they were unlikely to be able to produced large numbers. A production figure for the five counties of 1,000 shells a week was thought to be reasonable. One of the men nominated for the committee said he was a paper maker and knew nothing about engineering; although he wanted to do all he could for the country he was not sure he was the right man for the job! 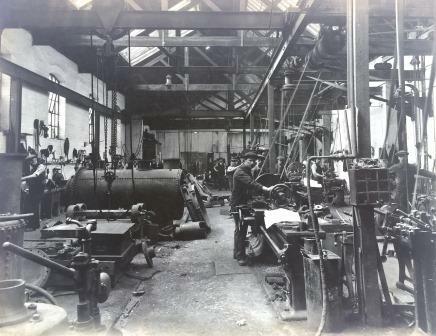 A representative of High Wycombe in Buckinghamshire, a town renowned for chair making, suggested that local firms in his area would be best employed producing wooden boxes to hold ammunition. Tuesday 27th July 1915: The adjourned inquest into the death of Second-Lieutenant Hugh Anthony Bertlin at Houghton Regis resumed today. It had been hoped Lieutenant Smith, who was also injured in the motorcycle accident which killed his fellow officer, would be able to attend but the court heard that he could not do so as he was in London to undergo an operation. 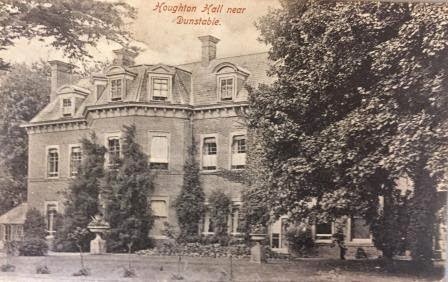 Lieutenant John Aveling of the Royal Army Medical Corps stationed at the Dunstable Signalling Depot, Houghton Regis, said that he was called to attend Lieutenant Berlin after the accident. He found him unconscious and seriously injured and took him by ambulance to the military hospital at Luton. The resident medical officer at Warden Military Hospital stated the Berlin never rallied or recovered consciousness before he died at 2 a.m. on Monday 12th July. A post-mortem examination showed extensive head injuries. A motor horn battered beyond recognition was produced and the witness stated that these injuries could have been caused by coming into contact with the motor horn. Frederick Percival Jones, an automobile engineer of Montserrat House, High Street North, Dunstable, said he was driving a 16-20 h.p. Sunbeam car from Luton to Houghton Regis. He knew the road well and was fully aware of the dangerous turning at Houghton. He sounded the horn several times and also used a siren. On rounding the corner he saw the motorcycle about 2 feet 6 inches from the path on the wrong side of the road. He immediately turned his car off the road onto the gravel frontage of the Chequers Inn on the near side of the road, hitting the palings in front of the inn. The motorcyclist appeared to lose control and ran straight into the off side of the car. The horn was at Mr. Jones’ right shoulder, which was where the dead man collided with the car, and he assumed this caused the injury. With the help of some soldiers he took the injured officer to Houghton Hall. Mr Jones said he was travelling at about 10 or 12 mph but eased his pace at the bend, a necessity for a car of that size. He had owned the car for five years and it was in good order. Measurements of the road showed that the car was half on the road and half on the gravel in front of the inn, leaving plenty of space for the motorcycle to pass through. William Hamson, the landlord of the Chequers was in the taproom when the accident occurred. Going outside he saw two men and a motor bicycle lying in the road. He called out three soldiers who had been playing bagatelle in the public house; they helped him to get Lieutenant Berlin into a car to be taken to Houghton Hall. He took the other injured man into his house. The road was very wide at that point and the car was on its proper side, but he had not heard a hooter or horn. Lieutenant George Harold Williamson of the 2/5th Sherwood Foresters told the Court that the car had passed him going towards Houghton Regis and was travelling very fast round the bend. He estimated the speed at 30mph. After the accident he examined the car’s tracks and said they were in the centre of the road as they came round the bend and continued there for some way before swerving into the near side. He also heard no horn or hooter. Lance-Corporal George Linstead of the Royal Engineers saw the accident from the Chequers and said both the motorcycle and the car were travelling very fast, with the car in the centre of the road. In his opinion anything over 10mph was too fast for that bend. Police Inspector Frederick Janes went to Houghton Regis on 14th July and saw William Hamson who pointed out three large bloodstains in the centre of the road. 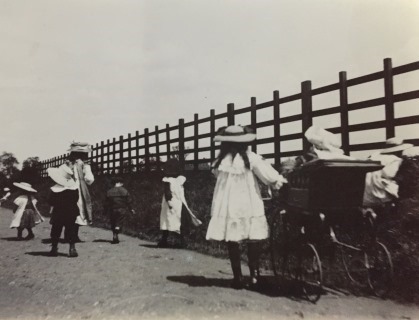 The road was 77 feet wide at that point between the fence of Chancery Farm and the Chequers Inn. It was an extremely dangerous corner as drivers of vehicles could not see each other until almost “on top of each other” due to the bends in the road. There was no warning post at the bend. He believed safety would be much improved if a 9 foot tall hedge was cut down to improve visibility. The municipal engineer and borough surveyor of Dunstable, William Fawcett Wilkins, had also taken measurements. Opposite the Chequers outbuilding there were 11 feet clear between the marks of the car’s offside wheel and the grass at the side of the road and 13 feet 9 inches of roadway. Mr. Jones’ counsel pointed out that there was no doubt that the motorcycle was on the wrong side of the road, and that Mr Jones could not have been driving at a very fast speed or the accident would have been even worse and would probably have killed both the motorcycle passenger and the car driver. After considering the matter for quarter of an hour the jury returned a verdict of “accidental death”. The jurors also noted that the hedge which impeded visibility should be cut and a warning post erected. 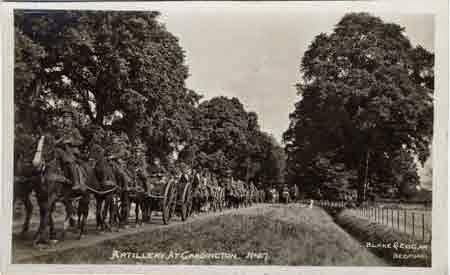 Monday 26th July 1915: An artillery training school has opened at Pages Park in Leighton Buzzard and large numbers of men from the West Riding Territorial Artillery are arriving for training. Twenty reached the town on Wednesday, 230 on Thursday. 250 more yesterday, with further arrivals expected imminently. Their horse-drawn gun carriages are attracting considerable attention in the local streets. The soldiers have been billeted as near to the park as possible in Stanbridge Road, Dudley Street, South Street and the surrounding area. It is expected that Leighton Buzzard will become a large and important training centre. 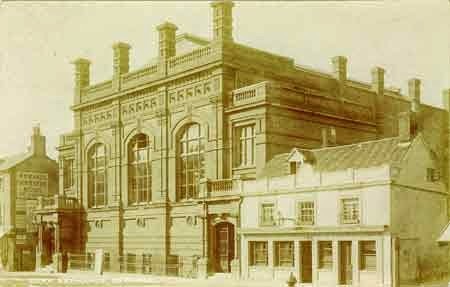 The commanding officer, Lieutenant-Colonel Russell, has applied to the Urban District Council for permission to erect the following buildings: central dining rooms and kitchens, recreation and lecture rooms, harness and saddlery rooms, ablution and bath rooms and latrines for 1500 men. He also homes to get approval from the War Office to add hut barracks for 1500 men and 300 horses. The buildings are likely to occupy 10 to 12 acres out of the 17 acres which make up Pages Park. The Chairman of the Council believed that sufficient water could be supplied, and the military authorities were asked for assurances that they would meet all the costs involved in providing sanitary arrangements. The opening of the training school opens up the possibility of enlistment for men who have so far been ineligible for military service due to their age or inability to pass the medical examination. They can apply to join the military for home service and are needed to act as officers servants, storemen, grooms and so on. Any many who joins the army and continues to live at home will receive the billeting allowance of 3s 4½d per day in addition to his soldier’s pay; anyone acting as an officer’s servant will be given additional allowances increasing the total weekly wages to between 30 and 35 shillings. Men who enlist for home service fill vital roles and by doing so release younger and able-bodied men for service at the Front. Anyone interested in enlisting can obtain further information from the Recruiting Officer in Market Square. This is presumably the Sergeant F. Featherstone of the King’s Royal Rifle Corps who was killed on 26th September 1915. Davis Gas Stove Co. Ltd., where an address was given by Mr. Tom Wing, M.P. during the men’s dinner hour. He stressed that any job that was keeping the country going was a war job. The men were told, “If ever you tried to do your best do it now. If you have any care for your wives and families and the country you live in, show it now”. 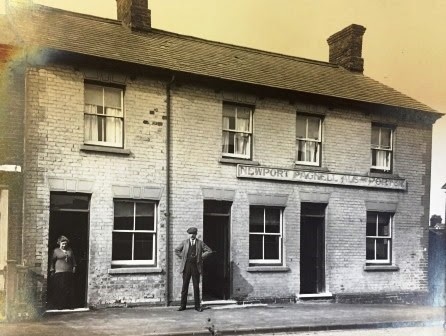 Balmforth and Co. Ltd. Captain Maylor and Mr. Goldstone spoke to the employees of this company where fifty two men are recorded on the company’s roll of honour as having joined the Forces. Two of them have been killed on the battlefield, one while fighting with Captain Maylor’s regiment. Mr Goldstone told the men to ask themselves “Am I doing this bit of work in the same spirit as my pal on that roll of honour is doing it in the trenches? If you are, we are going to win”. Thermo-Electric Ore Reduction Corporation Ltd. The men were thanked by Mr. Wing for the way they had worked during the war and asked them to “go back to your toil with this one feeling, that every hour in which you do your duty is one hour added to make the war shorter and victory more certain”. He hoped nothing would keep them from their business as the “field of war and the factory were one”. Friday 23rd July 1915: A new recruiting initiative has been launched by the Army Council under which the towns and villages of Hertfordshire, Bedfordshire and Huntingdonshire are to be asked to raise local Bantam platoons. These are to be along the lines of “Pals Platoons”, where young men from the same place will be able to train and fight together. These Bantam units will allow men to join up who are below the regulation height and chest size usually required for recruitment. Their height is to be between 5 feet and 5 feet 2 inches, with a chest measurement of 33 inches. The Bedfordshire and Huntingdonshire youths are to be attached to the Luton Platoon of the 12th (Service) Battalion of the Suffolk Regiment. The 12th (Service) Bantam Battalion was mobilised in June 1916 as part of the 121st Brigade of 40th Division. It took part in various actions on the Western Front. 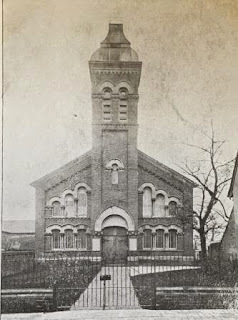 Thursday 22nd July 1915: The inquest into the death of Mrs. Harriet Reeve of Leighton Buzzard, which was adjourned on 6th July [LINK] was resumed yesterday in the Church Room at Leighton Buzzard. Thomas Major, a labourer of Chapel Path, Leighton Buzzard, said he had seen the victim’s husband on the day of the tragedy. They went together to Hockliffe to return a stray dog to Mr. Richardson, the owner of the White Hart. Reeve had told him that he had his double-barrelled gun loaded and standing in the corner of the house. Major told him “You --- fool, why don’t you go back and empty the gun, or do something with it; or else the children will get playing about with it, and shoot one another”. Reeve replied, “That’s all right; I’ve got that for something else”. 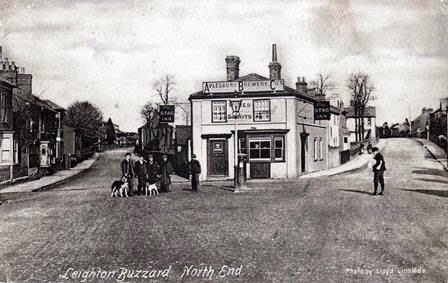 When they returned the dog Mr. Richardson gave them two shillings and a pint of beer each; Mrs. Richardson gave them another two pints. On the way back to Leighton they stopped at the Plough in Eggington for a pint each, then at the Falcon in Stanbridge Road where they each had two more pints. After that they visited the Roebuck for half a pint each, followed later by another two pints between them. Nothing in Reeve’s manner seemed unusual to Major; when he left him Reeve was sober and could walk all right. Annie Elizabeth Peasegood, the daughter of the licensee of the Stag Inn at Leighton, gave evidence that Reeve had been drinking and was not quite sober, but was not drunk. He had stayed in the Stag playing dominoes from about 4 to 6 o’clock, but drank only a half pint. 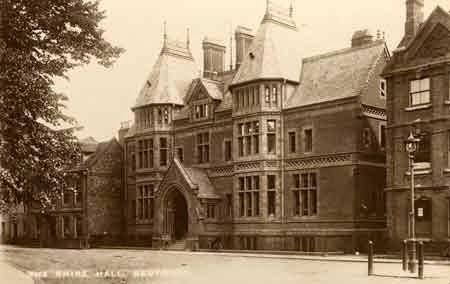 David Chandler, age 18, a baker of Hockliffe Street had seen Reeve in the bar at the Stag and also thought that Reeve was not drunk; he was in control of himself and able to light a cigarette, which he felt a drunk man would be unable to do. Reeve’s 16 year old son, William Benjamin Reeve junior, stated that on July 5th he was living at home with his parents. His mother came home from work at about 6.30pm, and soon afterwards his father came home drunk. His mother whispered to him and another boy who was with him that they had better go away and gave them three pence each to go to the Picture Palace. He identified the gun as belonging to his father. He had not heard his father threaten his mother, but his mother had told him she had been threatened by him on several occasions. The boy’s friend, George Flemming described Reeve as looking very white; he looked “funny” ground his teeth and made a hissing noise between his teeth – he usually did this when drunk. He had heard Reeve threaten his wife several times. Reeve’s neighbour, Eliza Barker, said Mrs Reeve left for work at Wing in the morning and was out all day. She herself had gone out in the afternoon taking Reeve’s four year old son with her. When she returned she saw the door open and Reeve sitting in a chair. A few minutes later she went to the North Street Fish Shop with the little boy. When she returned Mrs Reeve’s door was open and went in to speak to her, but found her dead and bleeding. Eliza Barker’s invalid sister, Martha Baines, had heard Reeve and his wife talking very loudly and thought they were quarrelling. It went quiet for a few minutes but then she heard a gun go off. She then heard Reeve in the yard making a groaning noise and heard someone tell him to wash himself. Other witnesses described how they found Reeve in the street, covered in blood. Harriet Reeve’s niece, Annie Toms saw him with his neck, hands and arms all red and thought at first he had put his arms into some paint. Reeve’s father, William Benjamin Reeve senior, said he had seen his son in the Stag Inn and asked him for half a pint of beer but Reeve refused. When he got home his son was there bleeding profusely, with several people around him. He recognised the double barrelled gun as an old one of his own which his son had had for 20 years. Dr. Percy Stedman of North Street said he had attended Reeve, who had cut his throat. He testified that the cause of Mrs. Reeve’s death was shock due to loss of blood and injury to the nerve in the neck. Her wounds were of a type which would have been caused by a gun at close quarters. The jury returned a verdict of “wilful murder” against William Benjamin Reeve. Wednesday 21st July 1915: Bedford Town Hall was crowded last night for a meeting chaired by the Mayor at which the great fighter for women’s suffrage, Mrs. Emmeline Pankhurst, spoke on “Patriotism and Recruiting. Major Orlebar of the 3/5th Bedfordshire Regiment sent a letter expressing his regret that due to urgent military duties he was unable to attend. 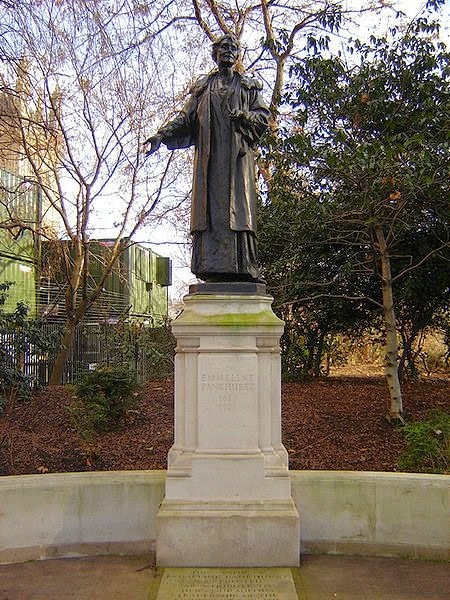 Mrs. Pankhurst believed it to be a remarkable meeting in that it was the first since the beginning of the war at which the speakers could appeal equally to men and women. 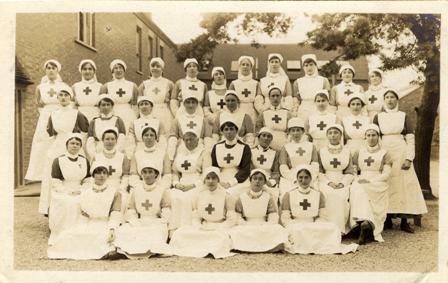 Only the previous Saturday, Mr. Lloyd George, the Minister for Munitions, had made it clear that women were to be recruited in large numbers for munitions work and were to be enlisted and enrolled under the same system that the recruiting authorities used for men. In her view any men doing work which a woman could be trained to do were guilty of a crime against the country. She understood from the French Minister of Munitions that thousands of women in France, and half a million in Germany, were doing work which men were doing in England. Their women learned quickly because they knew that every shell made might save a husband’s life. 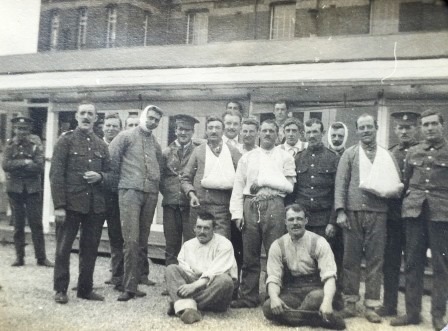 Mrs. Pankhurst spoke of how she had seen the “splendid” life of soldiers in France, and how those men would not be prepared to go back and “stand behind counters” again. . In her view pacifists were apologists for the Germans, more likely to serve the enemy than their own people. In this time all criticism should be suspended and everyone should combine against the enemy. If ever there was a righteous war, then this was it, and she believed it had in some ways done us good. At the end of Mrs Pankhurst’s speech a vote of thanks was proposed by Captain Taylor of the 1/5th Beds Regiment, who were about to leave for the Dardanelles. He wanted to see the vacancies in the other Beds battalions filled by men from this county. It was the duty of employers of eligible men not only to let them go but to push them out, of of ladies to persuade the men to join the Forces. A collection in aid of the Blinded Soldiers’ Fund raised £18 9s 5¼d. The crowd was so large that an overflow meeting with about 2,000 people present was addressed on Market Hill by Mr. Seamark and Captain Taylor. Tuesday 20th July 1915: Mr F. C. Bailey’s hat factory at 33 Williamson Street, Luton has been gutted by fire. The fire was discovered soon after 10 p.m. when a cabman standing by his cab saw flames leaping from the rear of the premises. He ran to a policeman on duty in Wellington Street to report the fire and a large crowd gathered. The fire brigade arrived promptly but the fire spread rapidly. It was obvious that the fire must have been burning for some time before it was spotted and it had taken a firm hold on the goods inside. The building was full of plait, velvets, ribbons, trimming material, and expensive hat sewing machinery, all of which were consumed by the flames. The old woodwork burnt like tinder and the firemen had great difficulty getting the fire under control. 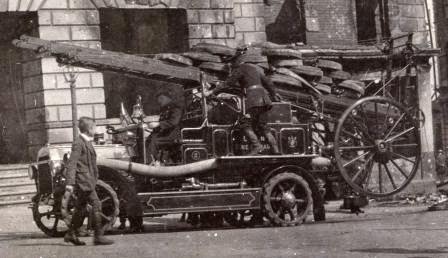 It could only be fought from the rear and hoses had to be run from Manchester Street and Williamson Street through the mission hall next to the factory. The brigade did splendid work keeping the fire within the one building. Messrs A. and P. Higgins’ factory next door suffered from the smoke, heat, and water, but was untouched by the flames although it is only separated from the burnt out property by a wood partition. Sadly a Persian cat known to those at the factory as “Tiddles” was unable to escape the flames. Inspector Janes and his police officers did an excellent job maintaining order among the large crowd. Mr. F. C. Bailey himself was among them but could only look on helplessly. Damage to the building (owned by Mr. W. G. Holyoak) and contents is estimated at well over £2,000. Fortunately both are insured. The cause of the fire is not known. It was thought at first that it started in the velvet machine room, but although close to the burned out rooms this was found intact. Monday 19th July 1915: Leslie Bird, aged 15, pleaded guilty at the Luton Divisional Sessions today to throwing a piece of glass to the danger of the public on Sunday July 11th. Lance-Corporal Vaughan and Lance-Corporal Kelly of the Royal Engineers were working along a footpath near the Houghton Regis Baptist Chapel just before 8 o’clock in the evening when some boys were rather cheeky to them. Lance-Corporal Kelly spoke to them, and as Lance-Corporal Vaughan turned round he was struck on the nose by a piece of glass, causing it to bleed. Bird admitted throwing the glass and said he was sorry it hit the soldier. The Chairman of the Bench expressed regret that a soldier who had already been wounded fighting for his country should be wounded by a silly, dangerous trick at home; while fighting at Ypres Lance-Corporal Vaughan had suffered two broken arms, six wounds in a leg, three broken ribs, and had the top of a finger blown off. Bird was fined 8 shillings with 7 shillings costs as a warning to other boys. His mother said it “was a lad’s action, though he ought not to have done it”. Sunday 18th July 1915: Company Quarter-Master Sergeant Arthur Andrews of the 2nd Highland Light Infantry has become only the second man in the Army to add a clasp to the Distinguished Conduct Medal he received. This is equivalent to winning the same decoration for the second time. His first medal was given in recognition of his conspicuous gallantry and ability in keeping telephonic communications intact, often superintending the repair of wires under heavy fire. At the time he wrote to his wife “I have kept my promise. You remember that I said I would either get the DCM or the VC, but everyone who has been out here all the time in the trenches deserves one, for I have seen many deeds deserving of recognition, but no officer has seen them.” He wrote in similar terms to his mother: “I did not do anything to deserve it, for there are thousands in this war who deserve it more and don’t get it, but, all the same, I am proud to receive it, for it will be something to look at”. Three weeks ago Sergeant Andrews unexpectedly arrived home at 15 Adelaide Street, Luton. He made no mention of any deed for which he expected a second decoration, but since he returned to the Front he has again been awarded the DCM for his heroism in keeping telephone wires in working order. According to the citation “He carried out his duties with great bravery and devotion, under a very heavy shell fire, and under conditions of serious difficulty. He maintained the telephonic communications throughout, frequently mending his wires and carrying messages to the front and rear”. Dear Madam, I have been informed that your husband has been awarded a second Distinguished Conduct Medal for his services at the War, and it gives me very great pleasure to congratulate him most heartily on the remarkable distinction which he has earned. The town is very proud of him, and I trust that he may return to you safe and sound, at no distant date. I am, yours faithfully, W. J. Primett, Mayor. 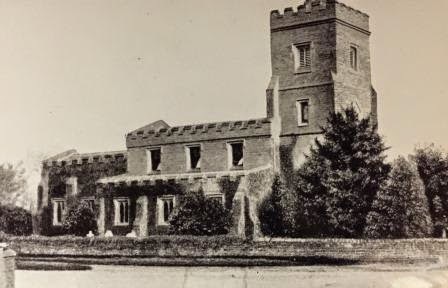 Saturday 17th July 1915: A funeral was held today at Silsoe for Edwin James Hand, one of the wounded soldiers being treated at Wrest Park Hospital. Although his wound was so serious that it was necessary to amputate his leg in a hospital at Boulogne, it was hoped that he would live. Gunner Hand had served with the 5th Company of the Reserve Brigade of the Royal Field Artillery. His funeral was attended by a large number of his comrades from Wrest and the Last Post was played at the end of the service. Despite this recent tragic death, it should be pointed out that considering the large number of men treated at Wrest, the percentage of fatal cases is extremely small. While it is not possible to positively identify him, a search of Ancestry suggests that he is most likely to be the Edwin James Hand who was baptised in Bristol in 1881. Thursday 15th July 1915: Soldiers have become all too used to being fired at by the enemy, but they do not expect to be shot at before they reach the Front. A Luton boy, Arthur Holton of 150 Farley Hill, has appeared at Luton Police Court where he pleaded not guilty to firing a bullet across the hill on July 10th. Private Thomas Short of the 2/5th Lincolns told the court that he saw Holton standing in a passage with a gun in his hand. Holton said his gun was as good as the soldier’s, then shot a little round bullet into Private Short’s eye. Holton claimed that he had shot across the road, not at the soldier. Another private in the same regiment, Sidney Nicholls, said that Short had said “Shun” to Holton, who then made the comment about his gun being as good and shot, hitting Short in the eye. Detective Attwood produced the gun, for which Holton had no licence. Holton had told him he was shooting across the road and did not mean to hit Short. The boy said he had given three shillings for the gun, had not had it for long and was only testing it. The Chairman of the Bench said he should have tested it over a field. The boy was fined 20 shillings and the gun was confiscated. 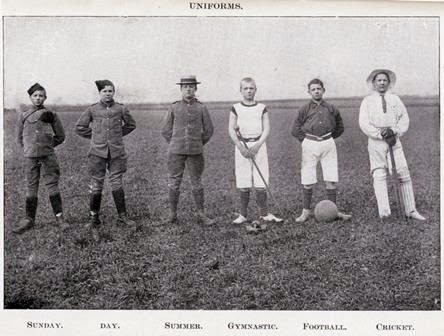 Wednesday 14th July 1915: The 120 boys of the Bedfordshire Reformatory School at Carlton are leaving today to camp in the Park of the Duke of Buccleuch near the village of Weekley in Northamptonshire. The boys have already had good experience of route marching and are intending to march the whole way to Kettering, with an hour or so rest at Wellingborough. They are expected to arrive around teatime. While at camp the boys will be given the opportunity for graining in drill, gymnastics, marching and sleeping under canvas, which will be particularly useful for those who will later join His Majesty’s Forces as soldiers or sailors. Over 130 old boys of the School are already serving at the Front, and nearly 200 are in training with various regiments around the country. Two of those serving at the Front have been mentioned in despatches and others have been made non-commissioned officers. In the country as a whole no less than 19,648 former Reformatory boys are serving their country, with 530 killed in action, 49 died of wounds, and 1,540 wounded. A large numbers of honours have been awarded, with 20 mentioned in despatches, 25 awarded the Distinguished Conduct Medal, and 4 the Victoria Cross. 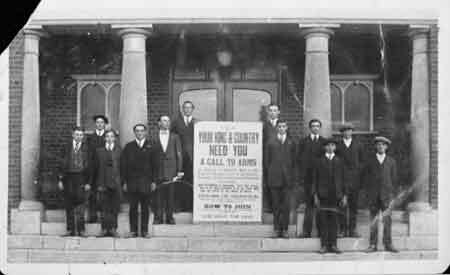 Government statistics show that the school has an excellent record of turning out useful and successful citizens, with 92% of old boys doing well and in regular employment. Tuesday 13th July 1915: An inquest opened this morning into the death of Lieutenant Hugh Anthony Bertlin in a terrible motor accident at Houghton Regis on Saturday. Second-Lieutenant Berlin was riding a motorcycle to Luton but just outside the village he collided with a motor car driven by Mr. P. Jones of Dunstable. Second-Lieutenant J. R. Smith who was riding pillion on the motorcycle was seriously injured. After the crash the two officers were taken to Wardown Military Hospital. Lieutenant Bertlin was diagnosed as a hopeless case and his parents were summoned to come at once; he died at 2 a.m. yesterday morning without ever recovering consciousness. He had suffered a fracture of the base of the skull, severe scalp wounds, and cuts and bruises to the face and body. Lieutenant Smith suffered a fractured wrist, cuts and bruises, but is making good progress. Mr. Jones was not hurt in the accident. The dead officer’s father gave evidence of identification at the officer. Anthony Bertlin, a civil engineer living at Ealing Green, said that his son was aged 24 and had been living in Canada at the outbreak of the war. He joined the Canadian Expeditionary Force in October and came to Britain in March. 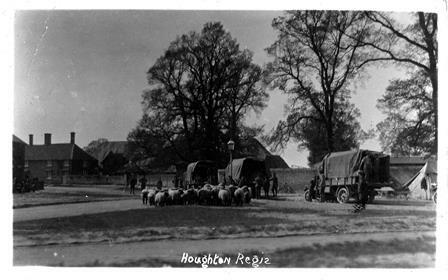 He was gazetted lieutenant in the Royal Engineers on 10th April and had been stationed at Houghton Regis for ten days. He reported that his son’s sight was good - he was able to read flag-signalling at a distance of two miles - and he was used to riding a motorcycle. The Coroner adjourned the inquest for two weeks, by which time he expected Lieutenant Smith to be sufficiently recovered to give evidence. Lieutenant Bertlin’s funeral is to take place tomorrow afternoon. He will be buried in the village churchyard at Houghton Regis with full military honours. Monday 12th July 1915: The Biggleswade Chronicle continues to collect funds to send food parcels to local men who are prisoners of war in Germany. While this week’s subscriptions have been less than last weeks they still amount to a good sum, and in clude 6s 6d from the Biggleswade Providence Strict Baptist Sunday School and £1 4s from Master Willie Battson. In addition Private Charles (“Tich”) Carr has sent money from the Front Line to pay for a picture to be sold on behalf of the Prisoners of War Fund. Three of the men to whom parcels are being sent are at the Altdamn Camp. This camp has recently featured in the national press following a report by a visitor from the American Embassy. For their midday meals the prisoners receive a thick vegetable soup and raw pickled herrings. Unfortunately while the Germans and Russians enjoy these they are not to English tastes and there has been some trouble on this account. During the winter the soldiers had been able to cook their herrings over the barrack fires; now that the weather is too warm for heating some of the men have been punished with solitary confinement for lighting fires to cook the fish contrary to their captors' orders. The American visitor was able to explain that the English did not eat raw herrings and the commandant has agreed to make safer cooking arrangements – he had previously thought the fire making was merely a matter of insubordination. One of those men detained in the Altdamn Camp is Private Alfred Bowskill of the 2nd Bedfords. Twenty two year old Private Bowskill is the son of Mr William Bowskill of Church End, Arlesey. He has served with the Bedfords since Christmas 1911 and returned from South Africa with his Battalion at the outbreak of the war. He was taken prisoner during the First Battle of Ypres and was taken to Altdamn, where he at least has the company of another Arlesey man, Percy Papworth. Three of Private Bowskill’s brothers are also serving in the Forces: one is a stoker on a ship now in the Dardanelles; another brother, James, is at the Front with the Grenadier Guards; the third brother, John is with the 5th Beds Territorials. A John "Boskill" appears on the Arlesey War Memorial. It seems likely he was this Bowskill brother. The other members of the family seem to have survived the war. Private Brantom himself was one of the two men wounded and after some time in hospital in England has been home recovering. Bombing enemy trenches is one of the most dangerous manoeuvres for a soldier and it is to their great credit that Brantom and so many of his comrades were eager to volunteer. Private Brantom is now helping to recruit new men for his regiment . 2nd Lieutenant William Harper Brantom was killed during the Battle of the Somme on 4th July 1916 and is buried in Bois-de-Noulette British Cemetery. The Land Council has on its books the names of a number of women who already possess agricultural skills. Some were from Canada and New Zealand and were able to operate the latest types of machinery. There were also unskilled women workers who would be sent in groups of six or eight under the direction of a “captain”. Lady Denman has made it known that she is delighted at the enthusiasm with which she has been received in Bedford, which she believes to be one of the most up-to-date counties for agriculture in the country. Several of the farmers she has spoken to have promised to apply to the Land Council for women labourers. Friday 9th July 1915: Reports have been received of the heroism of two soldier brothers from Flitwick. Sergeant Alfred Stringer was serving in Africa as a corporal with the 2nd Battalion of the Bedfordshire Regiment, from where he was recalled at the beginning of the war. Private Sidney John Stringer, joined his brother in the same Battalion at Southampton and they were both sent out to France. 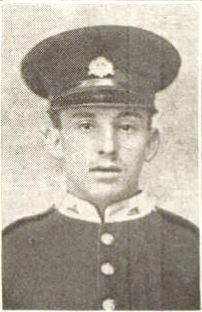 However, after only two weeks together the younger brother, Sidney, was killed fighting at Ypres on October 26th. Alfred was wounded in four places by shrapnel and heard of his brother’s death while in hospital at Felixstowe. When he returned to the Front, he vowed to do something which would earn him either promotion or a medal. He achieved both, being awarded the Distinguished Conduct Medal and promotion to the rank of Sergeant. The Commonwealth War Graves Commission gives Private Sidney John Stringer’s date of death as 31st October 1914. He has no known grave and his name is recorded on the Menin Gate Memorial. Sergeant Alfred Stringer appears to have survived the war. Wednesday 7th July 1915: Two soldiers have appeared at the Biggleswade Petty Sessions today charged with stealing potatoes and peas worth 7 shillings and 6 pence from George Brown at Southill between 20th and 23rd June. Walter Kirby and Herbert Brown both pleaded guilty. Mr. Brown reported the theft to the police, estimating that he had lost half a bushel of peas and about 60 roots of potatoes. The Bench was informed that other charges had been laid against the men and decided to hear those before passing sentence. They were then accused of stealing five fowls from J. King and Sons, Southill on three separate occasions between 1st and 21st June. Police Sergeant Marritt told the Court that he had met Kirby leaving the 2.38am train from Leeds on the morning of 28th June. Kirby, a Private in the Royal Engineers billeted at Southill, admitted taking the potatoes and peas and made a voluntary statement. He said had found the hens sleeping out in the open and took them home to be cooked. Another man was with him but he did not wish to give his name. There was also mention of a pheasant, which was not included in the charge. P. S. Marritt and P. C. Pedley met Brown at leaving the 3.38am train at Biggleswade on the same date. Brown at first denied any knowledge of the fowls or potatoes, but later admitted having the vegetables and one hen. The soldiers’ landlady, Mrs. Lichfield of Southill, said that Kirby had been billeted with her for nine weeks and Brown for some time less. About five weeks ago she saw a fowl on the copper in her wash house which then disappeared; some time later she saw a pheasant which the soldiers ate. A week later there were two hens, which she cooked at Kirby’s request and ate with the men; then a week or two ago there was another fowl hanging outside the wash house door. She said the men had been sending parcels away but she did not know what was in them. Henry Vellam, the farm bailiff for Messrs John King and Sons, had noticed on 26th June that some slats had been pulled off the hen house. Several fowls had been lost during June; two which were in the habit of roosting out and two others which were sitting on eggs had disappeared. He believed that between ten and a dozen fowls were missing. Kirby and Brown pleaded guilty to stealing the fowls. They were sentenced to one month’s imprisonment with hard labour for each crime, with the sentences to run concurrently. The Bench may have been more lenient for a single charge, but the theft of fowls was a serious offence and appeared to be part of a “systematic course of plunder”. It was hoped that after serving their sentence they would be able to return to their military duties. Mrs. Lichfield was told to think herself extremely lucky not be charged with receiving stolen goods. Tuesday 6th July 1915: A dreadful domestic tragedy took place in Leighton Buzzard yesterday evening. At around 7 pm the sound of a gunshot was heard at 8 Plantation Road, the home of William Benjamin Reeve and his wife Harriet. Soon afterwards P.C. William Clarke, who was on duty near the Stag public house, met Reeve in the street heading for his father’s house at 84 Church Street; he noticed that Reeve was covered with blood and his throat was cut. P.C. Clarke helped the injured man to Church Road and called for a doctor. His injuries were found to be severe and he was taken to the Workhouse Infirmary. Mrs. Reeve was later found sitting in a chair at her home, dead from a gunshot wound which had blown away her right bottom jaw and left a large hole in her right shoulder near to the neck. A double-barrelled muzzle loading gun was against the fence outside the house. The inquest into the tragedy opened this afternoon at the Ashwell Arms. P.C. Clarke described how he had found Mrs. Reeve’s body. He told the Coroner that the right-hand top drawer in a chest of drawers was open; it contained a number of loose cartridges and an empty powder flask. On the top of the drawers was a powder flask containing powder. Both barrels of the gun found outside the house had recently been fired and the left hammer was cocked . A razor was also found on the ground, covered with blood. The middle of the blade was broken out, apparently due to coming into contact with bone. Mrs. Reeve’s hand was wounded as if she had tried to shield her face. The inquest was adjourned to 21st July. Mrs. Reeve’s funeral will take place on Thursday, with funeral arrangements being made by her employers, Mr. C. H. Aveline and Mr. John Phillips. She leaves three children, Lance-Corporal Charles Reeve, William Reeve and Miss Florrie Reeve. 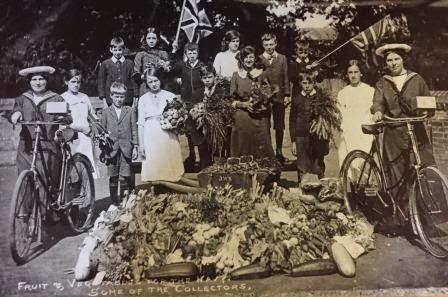 Monday 5th July 1915: A thoroughly enjoyable garden party has been held today by Captain Louis and Mrs. Ada Sillem of 12, Rothsay Gardens, to celebrate the 21st birthday of their daughter Joyce, an old girl of Dame Alice Harpur School in Bedford . The guests included about twenty-five wounded soldiers who were invited to share in Joyce’s coming-of-age celebrations; they were also provided with plenty of cigarettes by Captain Sillem. Mr. Harold Johnson performed a short and entertaining programme of comic and patriotic songs with amusing monologues, which was much enjoyed by the audience. Tea was served on tables on the lawn and was followed by games.